Chances are that when an artist is declared a rising star in French, Spanish, Portuguese, and English language publications, she’s probably pretty good. If you retain any doubt, let me proclaim that Eleanor Dubinsky is very, very good. She’s also working on her Czech, so maybe by the time you read this she will have added another feather to her crowded accolade cap. Ms Dubinsky hails from St. Louis. We know she’s good with languages, but she’s even better as musician. She has studied cello and guitar and has tremendous voice control over a repertoire that’s a jazz/folk mash—with perhaps more jazz shining through on Soft Spot of My Heart, her third release. But she’s really eclectic. How many performers do you know who have been seen at both Lincoln Center and on Animal Kingdom? Among the many things that is obvious from the start is that Dubinsky is more than just a lovely a voice; she knows how to sing. Her timing is impeccable and she hits all those small spaces in the way that marks gifted jazz chanteuses. She is not, however, grounded in classical jazz. Like many of today’s artists, hers is a mashable musical planet. This album is folk music as blended with the rhythms of Brazilian and Latino jazz. It was recorded in Portugal and in New York, and it's easy to detect her global influences. After all, "El sabor de la vida" is in Spanish, and "Cuando voya me trabajo” at once shows off her chops in Spanish, Portuguese, and French. In the latter, she sways to bright piano and hollow percussion beats with such ease that you’ll understand why she wins raves everywhere she appears. “Turn It Around” is a catchy song with bright splashes of brass, soulful background singers, and stunning phrasing. “Soft Spot of My Heart” is so fragile and beautiful that it could be a spotlight slow dance for future weddings. It’s also the most folk-like song on the album. The album version of “Wind Will Not Knock It Down” is jazzier—mainly just Dubinsky, piano, and beats. Listen to how she allows the song to breathe. She paces her vocals and when she soars, it’s to allow the drama of the song to shine through, not because she’s trying to impress us with pyrotechnics. I also quite admired “Free Again,” an I-love-you-but-I-must-let-you-go song with late-night coloring in her voice, piano heavy on the dark keys, and small touches of electric guitar. If you need some uplift in these our troubled times, try “You are Special, You are Beautiful.” It was written to empower all those folks the Trumpinistas like to decry— a song that urges all to standup and be valued. 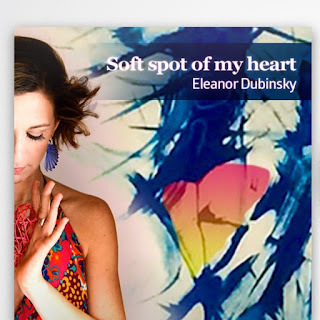 Dubinsky's arrangement is equal parts soulful, blue, and bright. Eleanor Dubinsky has enormous talent, a global worldview, a positive values system, and an amazing voice. I’d say that’s pretty much the complete package. If you don’t know her music, listen and love. Clear a soft spot in your heart to store the joy she will bring. Voodoo Films, 128 minutes, Not-rated. This small film—released as Baccalaureate in Europe— slipped under the radar in U.S. markets, but it won a few prizes at Cannes. I'm not sure I'd have sent anyone to the winners' podium, but the film is certainly worth a download or DVD rental. Forget that it's a subtitled film. Instead, ask yourself a very North American question: What would you do to assure your child's place in a great college? Would you call in favors? Would you consider cheating? Now let's take it to another level. 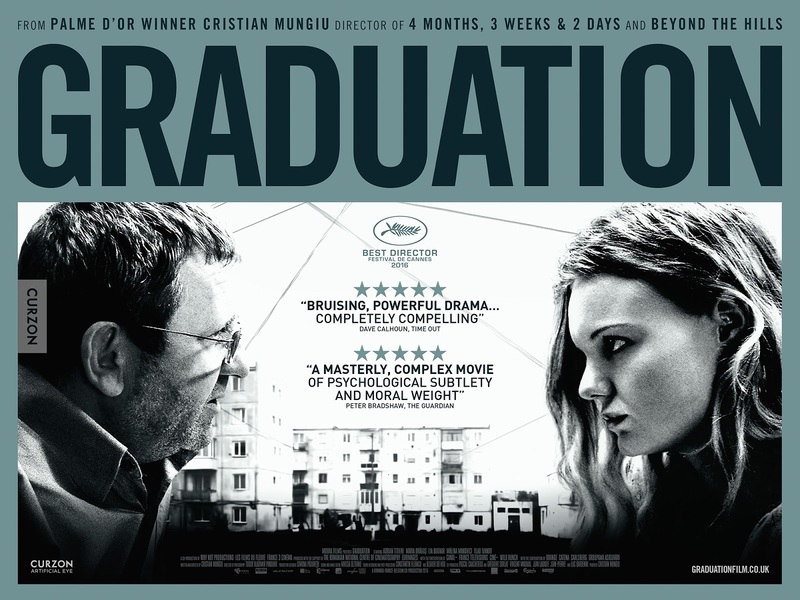 What if you determined that getting into a good university was your daughter's ticket to escape an untenable present and a dree future? This is the dilemma facing 49-year-old physician Romeo Aldea. He and his wife, Magda, left Western Europe to return to Romania shortly after it tossed off communism in 1990. They arrived full of idealism and hope, but those dreams died as communism merely gave way to authoritarian capitalist thuggery. To put it in perspective, more than two million people have left Romania since it joined the European Union in 2007—and this is a nation whose communist dictator, Nicolae Ceauçescu, was considered among the worst! The Aldeas' Transylvania town is rundown and dysfunctional, cynicism reigns, corruption is rampant, and the pall of resignation hangs over the citizenry. Good jobs are rare—and being a doctor isn't one of them. Perhaps the only thing deader than the town is the Aldea's marriage. Eighteen-year-old Eliza, though, is brilliant. She has been provisionally accepted to Cambridge and needs only to score a 90 on one of her final exams—and the English test is in the bag. Or, at least it should be. On the cusp of her exams, Eliza is assaulted. Though she fends off her attacker, her struggle leaves her with a massive flexible arm cast—on the side with which she writes, of course. Romania isn't a bureaucratic communist state any more; it's a bureaucratic capitalist state. Rules are rules; Eliza cannot reschedule her exams, nor is she supposed to get extra time to complete them. So what would you do to try to help her? Who do you know who could fix the situation? This is the gist of the central dilemma. I'll leave it to you to see how it plays out—though I will note that I found the film's resolution way too pat. It also takes some of the sting out if you know that if Eliza stays in Romania, she will attend Cluj University, which is very highly regarded. But let me discuss instead some of the things that are very good about the movie. First, it explodes our notion of what the fall of communism meant in Romania. Maybe communism was supposed to mean one for all, but Romanian capitalism has become—in director Mungíu's depiction—all for none. Second, there are some fine performances, starting with that of Adrian Titieni as Romeo. He gives us something seldom see on the screen: a helicopter dad. And, nope, this isn't any sort of glorification of Superdad; his helicoptering is just as horrific as female versions. Titieni plays the role well; he also shows he various ways in which one who wishes to be a "good" man can be tempted, as well as the inability of a parent to let go and acknowledge his offspring as an adult. Lia Bugnar has a nearly silent role as Magda, but she doesn't need to speak: her physical presence says it all. If you wanted to display the very essence of a person hollowed out by hopelessness, you could do worse than look at scenes in which the gaunt Bognar sits smoking in the kitchen, staring at nothing. Also noteworthy is Mălina Manovici, who plays a 35-year-old single mother. Her story parallels with Romeo's in that she too is trying to determine what she can do for her child in the face of difficult circumstances. Maria Drăguș plays Eliza. I gather she's an emerging star in Europe, though I wouldn't say she's more than adequate in this movie. She's sort of the flip side of the movie; that is, the parts that are merely okay rather than compelling. Overall, though, this is a solid film. It's also one that takes you to places you'll probably not see on your own. And maybe its lesson is that it's not like where you live, but you probably share more in common with folks living there than you might assume.